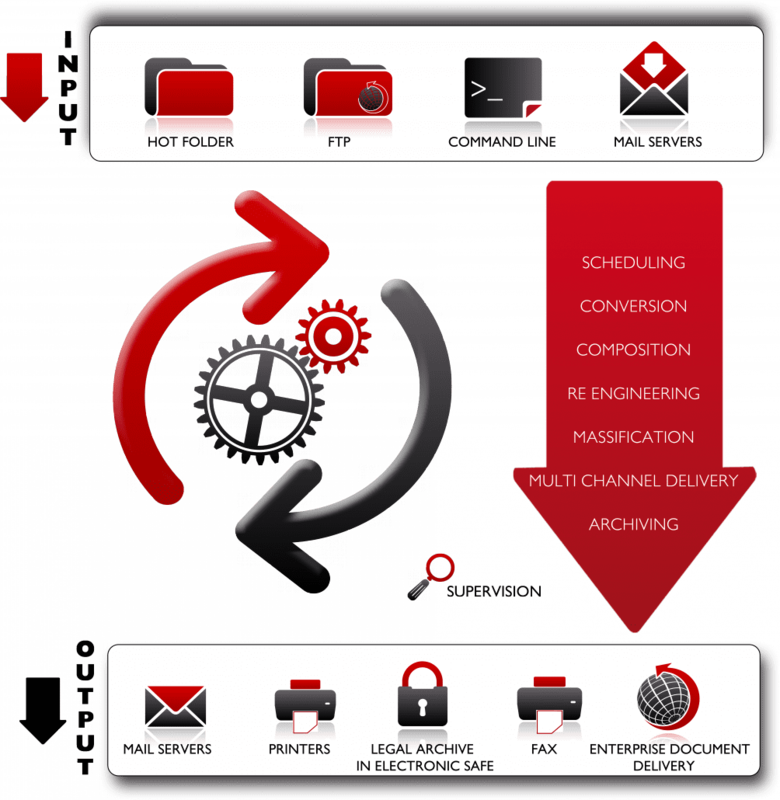 ScopIOM is the union of a batch engine and print flow spool and printers management tool, ScopIOM covers the complete Input/Output flow processing steps. It will ensure, via a WEB interface, a quick, secure and easy management of your process in real time. ScopIOM has numerous functionalities to answer each of your needs. With recent development of new efficient add-on modules, ScopIOM brings a simple but complete answer to customer issues in the flow management domain. ScopIOM include functionalities for Input management, process management and monitoring. Thanks to its Web interface, its simple and intuitive ergonomy, its granularity and flexibility is the answer to your print flow management problematic.